Two hospital pathology workers have undergone life-saving liver transplants within a year. Senior biomedical scientist Mandy Hultum, 54, and medical laboratory assistant Helen Sharp, 35, both received liver transplants almost exactly a year apart. The women, who worked for Hull University Teaching Hospitals NHS Trust, say the support from each other and their workmates helped their recovery. Helen said Mandy’s experience gave her hope while she was on the transplant list. Mandy was diagnosed with Langerhans cell histiocytosis (LCH), a rare disease classified as a cancer, around 15 years ago. She developed primary scelorising cholangitis (PSC) in summer 2015 and underwent a liver transplant at St James’s Hospital in Leeds on Easter Sunday 2016 after three false alarms. She was back working in the pathology department when she discovered Helen also needed a transplant. Helen, who lives in Hull with husband Richard and their two children Joshua, 7, and three-year-old Ruby, had Crohn’s disease. Blood tests highlighted problems with her liver function and doctors discovered she had primary biliary cholangitis (PBC). Although she had already lost five stone through Slimming World, Helen lost her appetite, became jaundiced and lethargic and went off sick. Her friend and workmate Sharon Newlove put her in contact with Mandy, then recovering from the transplant. After three months on the waiting list, Helen received the call to say a suitable liver has been found and she underwent transplant surgery in March 13, 2017, after two false alarms. “My life has changed completely,” Helen said. “I feel fantastic. 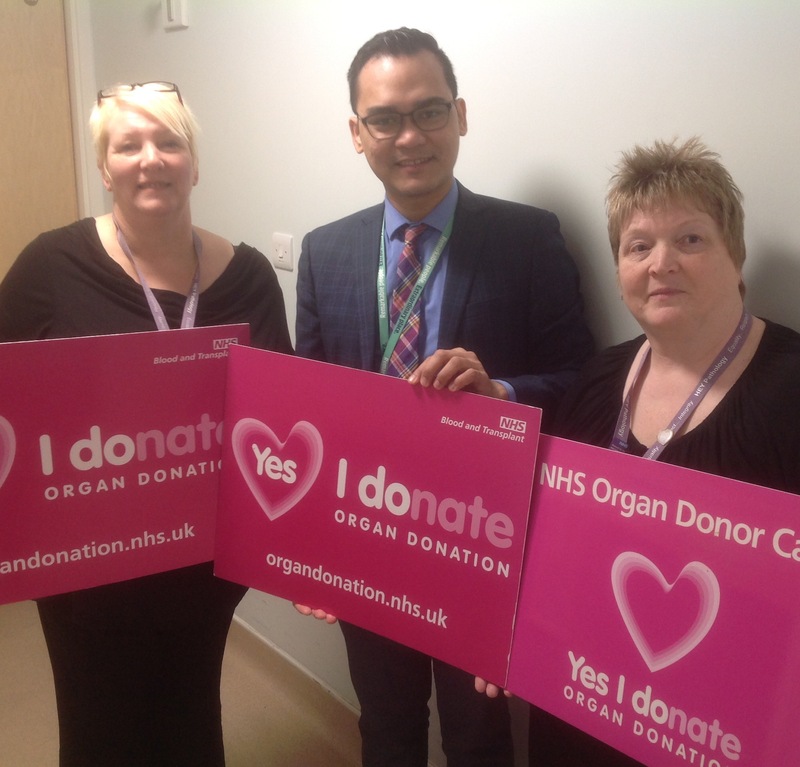 Touched by their friends’ experience, staff in the pathology department were determined to raise awareness and increase the names on the organ donor register. 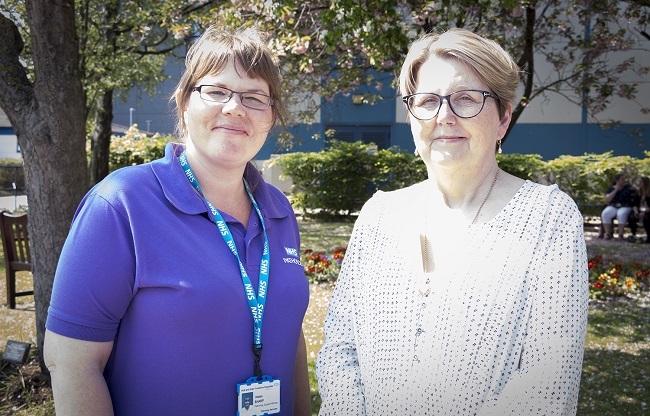 Sharon Newlove, a supervisor at blood sciences, teamed up with medical lab assistant Karen Hudson to arrange a charity football match against Hull City veterans and a variety show at the Northern Academy of Performing Arts earlier this year, raising £1,728. Sharon said: “We thought there was something more we could do to help and what started out as a peanut of an idea became this big thing. Some of the money will be used to buy a television for transplant patients visiting the Bexley Wing at St James’s Hospital and some will be given to the trust’s own transplant team, which recently achieved its most successful year after 35 families agreed to donate organs from their loved ones.